During my professional career as a Software Engineer I have worked in Enterprise Test Automation (ETA). In my short time in ETA I have seen absolutely awful automation, and highly effective automation with a strong strategy. In this article I will layout the foundation for strong ETA that will lead to success. Audience for this article: Anyone who is new to Enterprise Test Automation or preparing to setup an automation team or plan. If you are experienced with ETA, then you won't get much from this. TDD vs BDD. Does TDD test implementation or behavior? About a year ago I wanted to learn more about good testing habits and specifically Test Driven Development (TDD) because I had heard about it so much. While reading about these topics I came across Behavior Driven Development (BDD). I came to the conclusion that there is confusion around TDD and especially when compared to BDD, however TDD is simple and a highly effective development strategy when understood correctly. This article discusses how to quickly and easily setup a Python CI system using GitHub and Jenkins. This is useful for anyone who does not have a dedicated CI tool (Travis CI, TeamCity etc.) and just want to get something up and running with minimal effort. When a GitHub Pull Request is "Opened", "Reopened", or a commit is made, a webhook will be sent to the Jenkins job. The Jenkins job will create a virtual environment, install several tools for running tests and linters, then run those tools against the code base. The output of the tools will be gathered and posted as a comment to the Pull Request via the GitHub API. This was created to offer Python projects a simple and easy CI system without having to install and maintain dedicated CI software. 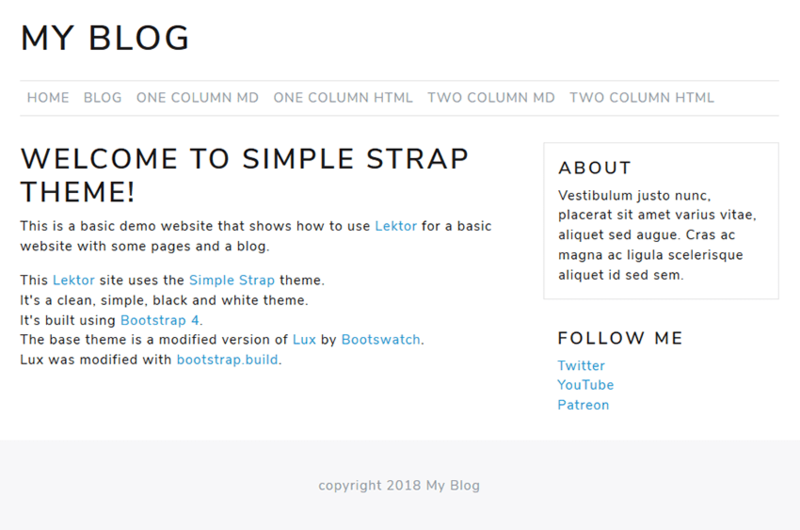 Simple Strap is a clean, simple, black and white theme for lektor based on Bootstrap 4. This article discusses how to easily create a speedometer / gauge image in Python with only the Pillow library. The gauge graphic is separated into two images. The first image is the needle that points to a number on the gauge. The second image is the gauge without the needle. The final gauge image is generated by rotating the needle image then pasting it on the gauge. The script is simple. The gauge is half a circle therefore the needle needs to rotate between 0 and 180 degrees. The gauge goes from 0 to 100. So if you want the gauge to point to 20, the script just takes 20% of 180 degrees to rotate the needle. Copyright (C) 2018 FireEye, Inc., created by Andrew Shay. All Rights Reserved. To modify the gauge image, modify gauge.psd. gauge.png should be the gauge without the needle (hide the needle layer). needle.png should only be the needle on a transparent background and should point at 50 (hide all layers except needle).